Welcome to Marble, a small, focussed, experienced team of engineers and designers set up to create inspiring new products. We love technical challenges, we thrive on creating innovative product solutions, we design things properly, we have a proven track record and we really enjoy what we do. We fuse design and engineering to deliver innovative product solutions to meet client and customer needs. Our committed, experienced, flexible team ensure our concepts are delivered efficiently and effectively to meet commercial and manufacturing demands. We thrive on tricky technical challenges and aim for simplicity and elegance in our solutions to meet a range of business requirements. Working across medical, consumer and industrial sectors, our clients are varied and that’s how we like it! In the short time we have been in business we have conducted a wide variety of interesting and challenging projects. Our product portfolio ranges from volume manufactured, hand held drug delivery devices to one off pieces of engineered art that consume an entire building. Marble was established in the heart of Cambridge to develop products. At Marble we invent, detail and support the manufacture of a wide range of innovative products from concept to manufacture. Our approach is varied and customised to meet each client's need.  We are ISO 9001:2015 and ISO 13485:2016 certified. Our clients range from small local start-ups to 'Big Pharma' in the EU and USA. We build lasting relationships with our clients who regularly return to us with new opportunities as their business grows. The Marble team has grown from its original three founders to a multi-skilled team capable of taking on large, challenging projects. Our clients range from small local start-ups to well known multi-nationals. We are always on the look out for talented like minded people to join our team. Copyright © 2019 Marble Product Design Ltd. All rights reserved. Website by Bruce.